It's tuners against in-house automaker tuning divisions now, and this is Kahn Design's latest volley. Before there was a myriad of luxury SUVs to chose from offered by every upscale automaker in the book, there was the Land Rover Range Rover that touched off the revolution, and while it now gets a bit lost in the crowds, there are plenty of tuners around to offer a way to make it stand out again. Thing is, Kahn’s outlandish and slightly striking design comes out of a plight to avoid shutting its doors due to competition straight from the automakers, and we think it has a point. Based off the already great Land Rover Range Rover Sport SVR, this 542 horsepower supercharged beast, which is affixed with the “Pace Car” suffix at the end of “SVR,” has gotten a makeover on the interior and exterior that invites double takes from outside observes and remarks from passengers inside. 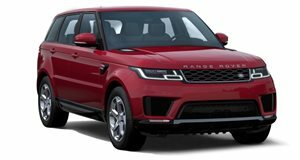 Exterior styling bits come courtesy of ABS polymers are optimized to ensure that the Land Rover-supplied warranty does not void as a result of the modifications and gives an edgy appearance to the SUV. Up front there’s a splitter to artfully manipulate the viscous flow of the wind without impeding on the Rover’s inbuilt safety features while the rear end sees wider wheel arches to compliment the front air dams. Filling these are large 23-inch wheels that help supply a bit of brute force intimidation. A lovely shade of Volcanic Rock Satin serves as a base color, but don’t be alarmed if the pick from that end of the color pallet seems too subdued because a rear deck lid spoiler, roof wing, and custom color accents provide a bit of needed flair to compliment the V8 rumble. Buyers will likely be most enticed by the elegantly appointed cabin, which remains in stealth mode with a dark color scheme but retains a sinister feel with quilted and perforated leather as well as vented aluminum pedals, stainless steel door sill plates, and enough subtle touches to let this fair writer refer you to the pictures for reference. Being a bespoke tuner, Kahn will let you spec your Range Rover Sport SVR to your desire, but this particular model cha-chings in at a hefty £124,999, or $161,898 to those of us on the western corner of the Atlantic.